Force India didn't go out in FP2 following Sergio Perez's crash while Lotus bounced back after their delayed start in the morning. Pastor Maldonado: "For sure it was something of a mixed up day, but it was good to get some decent laps in the afternoon and make some progress with the set-up of the car. The Hungaroring is always a challenging circuit and I think there's more to come from us this weekend. At certain times during the afternoon session we looked pretty competitive, but you never know anyone else's programme. Tomorrow will be interesting, especially as qualifying position is so important here." Romain Grosjean: "It was a reasonably straight-forward FP2 for me and even though we didn't end the session where we'd like to be on the timesheets, there's decent pace in the car and it feels pretty handy around the Hungaroring. There were hot conditions this afternoon which obviously has implications for tyre performance and is something we'll be looking at for qualifying and the race. I'm pretty sure we'll be quicker tomorrow." Felipe Nasr: "In the morning we mainly tested different set-ups on the car. We seemed to struggle a bit on the medium tyres, however, I believe we made the right changes for the second free practice. I am satisfied with the balance of the car, therefore, I think we are going in the right direction. We know that the grip level can change from day to day, so we need to keep that in mind. Due to the heat, the Hungaroring is always a challenging track in regard to the tyre management." 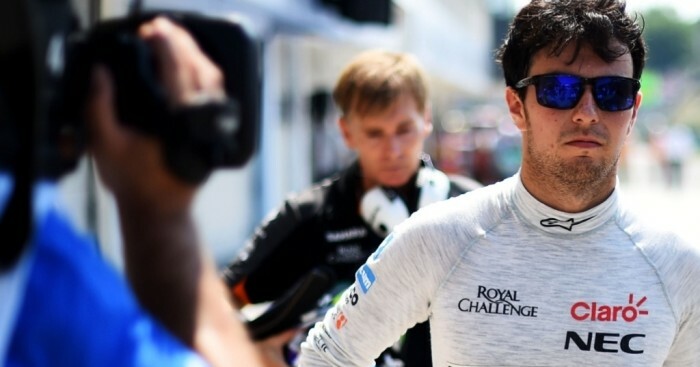 Marcus Ericsson: "Track temperatures around 50 degrees made it difficult to keep the tyre temperatures in the right window so that they did not overheat. During the second free practice we tried different set-ups to optimise the balance of the car. I think we have learned some good lessons for tomorrow. I am not entirely satisfied with the afternoon session, because I didn’t have a clear lap on the soft tyres. Overall, the performance today was more or less what we expected." Roberto Merhi: "I only completed FP2 today but I am feeling positive for the weekend. At first I wasn't comfortable with the settings, but the team made the changes and I was much happier. The qualification simulation was good but I made a few mistakes, so there is more to come. The long run is normally strong for us, but today was not so strong as I couldn't get the best out of the tyres. Hopefully the track will be cooler on Sunday and I can show more of our true long run pace." Will Stevens: "Overall, today has been a good day and I'm pretty pleased. We have gathered a lot of information which we'll work through overnight. It's pretty tricky out there with the hot track and ambient temperatures. The long run at the end of FP2 was very encouraging and gives us a direction to go in for tomorrow." Nico Hulkenberg: "It's difficult to say much following such a short day. I felt the car was working quite well, but my first run wasn't particularly smooth and my second run was brought to an end with the red flag. It means we will have a bit more work to do in the morning and we will be limited on data. Hopefully the team can find a solution to the issue on Sergio's car." Sergio Perez: "It was a very positive session up until the accident. We managed to get a good read on the balance and made some useful set-up changes that took us in the right direction. Unfortunately we had the failure on the rear suspension, which ended our day early. It has cost us a lot of track time, but hopefully we can recover tomorrow to minimise the impact it will have on our final result this weekend. I still believe we can have a strong qualifying session so I'm optimistic for the rest of the weekend."